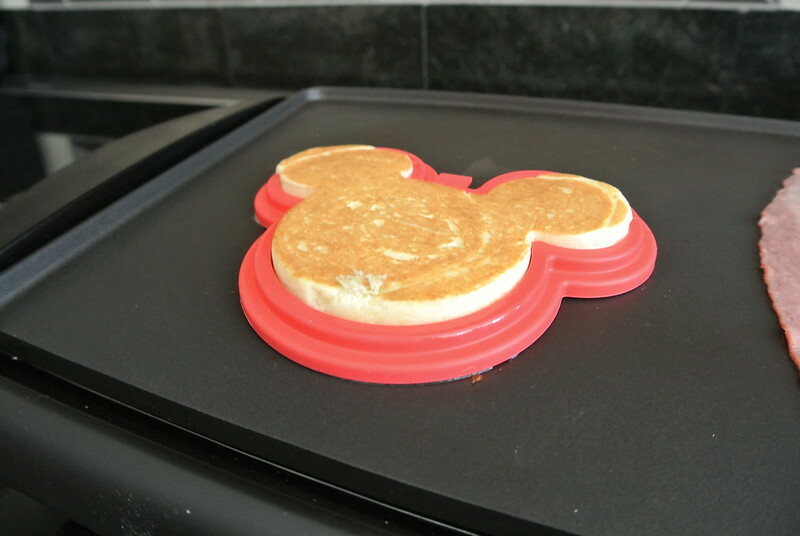 When Rachel saw this Mickey Mouse pancake mold at Walt Disney World, she knew she had to have it. 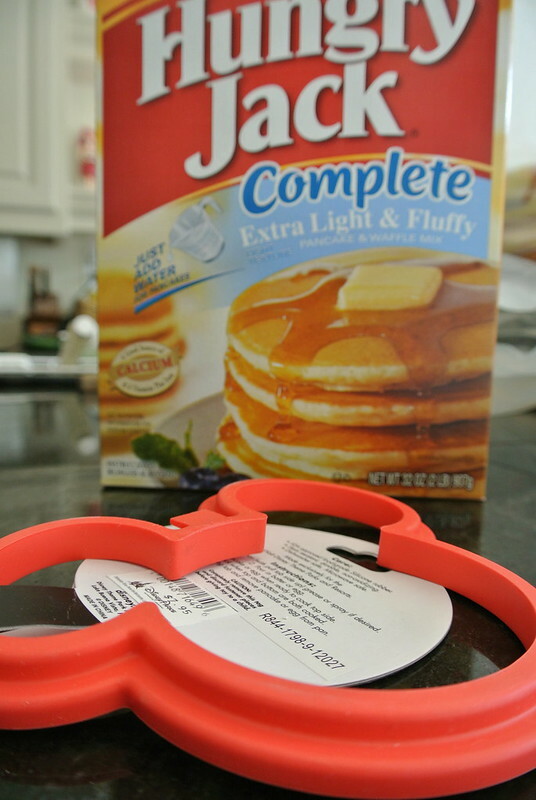 She then proceeded to pick up more adorable kitchen gear like muffin molds and cookie cutters - but Mom made her put it all back. 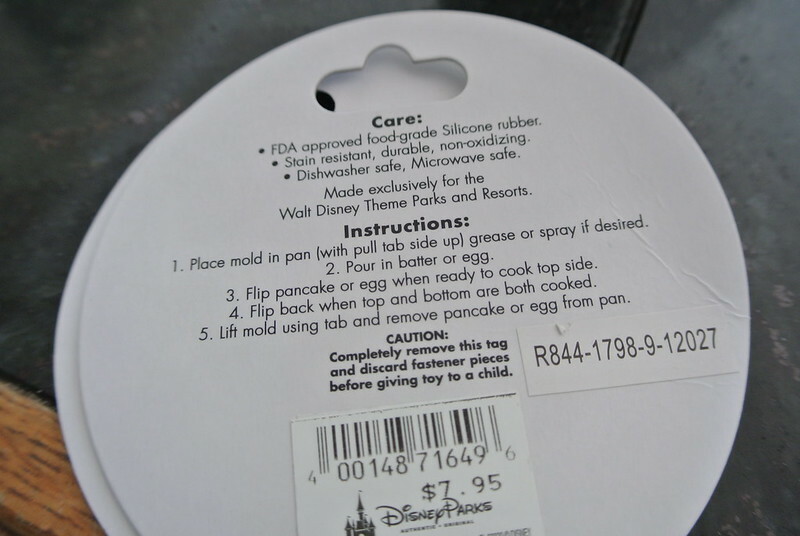 However, Rachel insisted on the pancake mold. 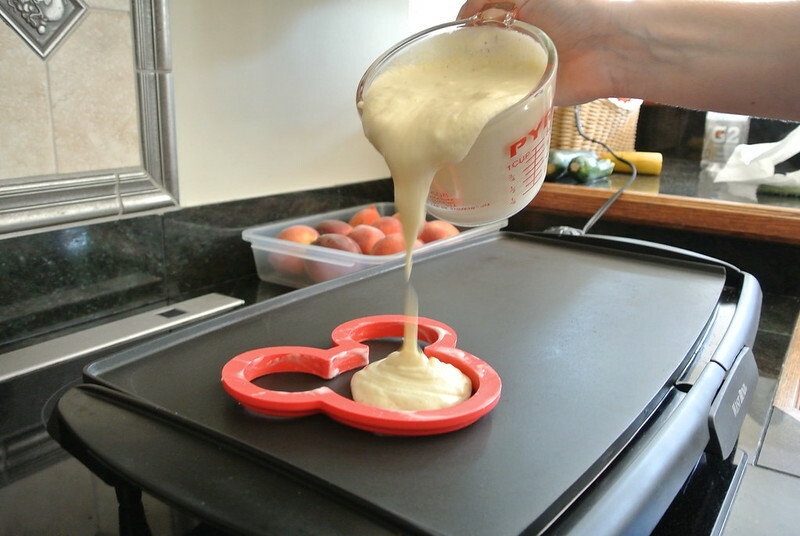 It's a rubber mold that's easy to use. Rachel followed the directions that came with the mold. 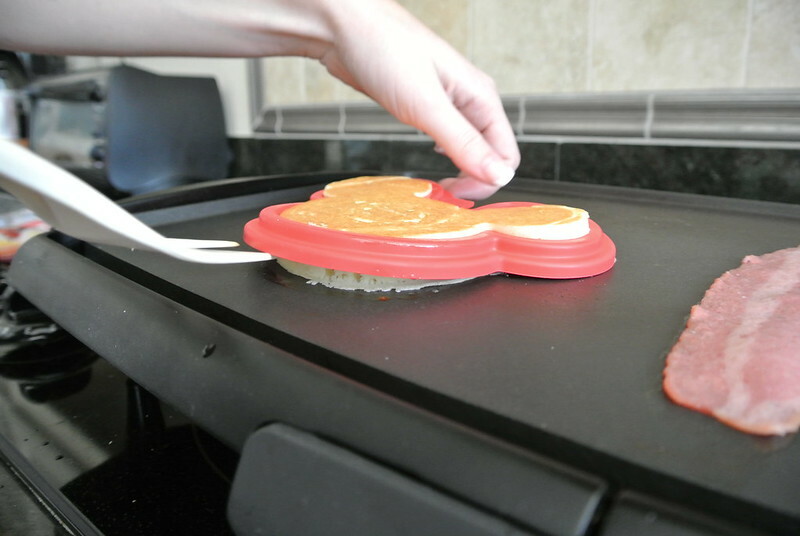 She chose to spray Pam on the inside of the mold so that the pancake could be removed easily. 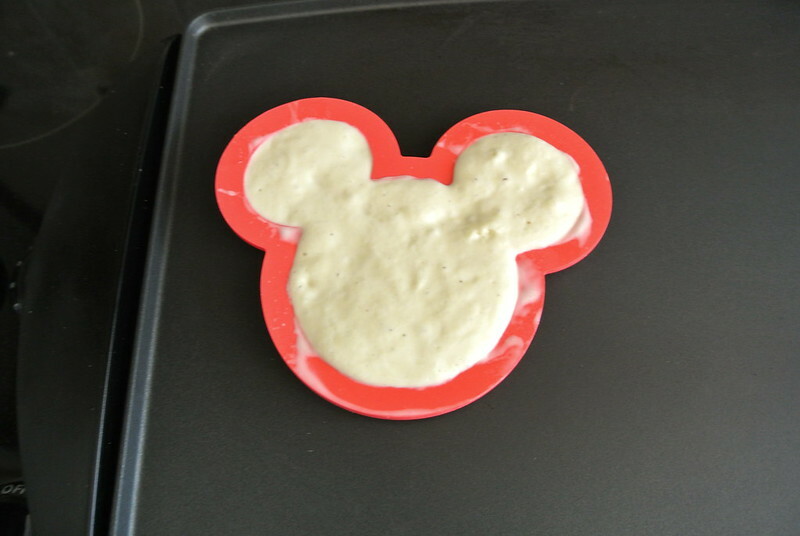 She carefully poured the batter into the pancake mold and made sure that it was even. 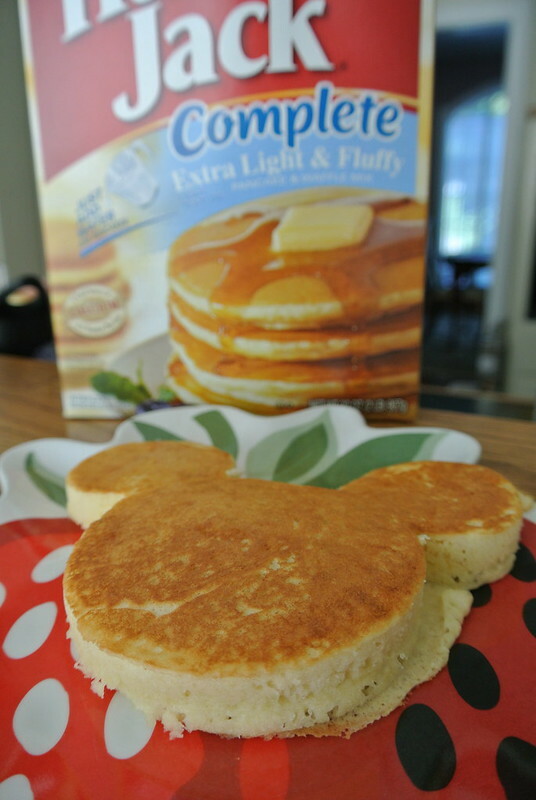 The trick is to leave the pancake mold on when you flip it. 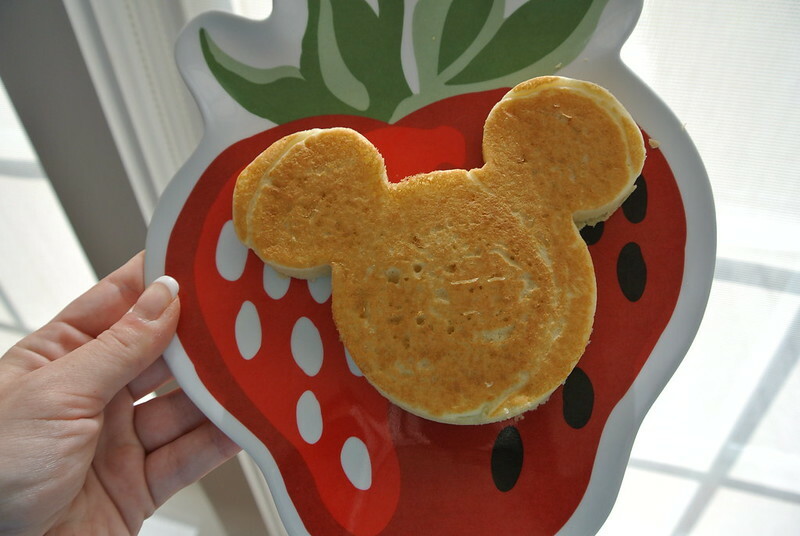 A perfectly shaped Mickey Mouse pancake! 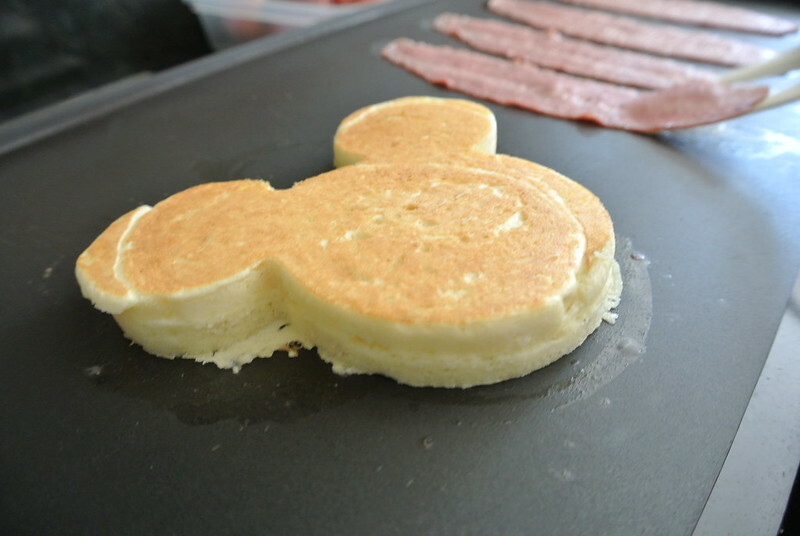 However, because we only had one mold, we could only make one pancake at a time... we might pick up another mold the next time we're at Disney!